The panels from the consultations in October and November - download here (6 pages, 845KB). provides a detailed description of what the Centre will offer. Twickenham River Centre: Breathing new life into the heart of Twickenham! The River Centre is planned to be part of the public asset in the redevelopment of the old swimming pool, beside the Thames in Twickenham. The Centre will be a flagship eco building, where people of all ages and backgrounds can find out about the river, the environment and sustainability. The Centre will have a café open to everybody, public toilets and an updated and expanded children's playground. There will be facilities for boat hire, with a pontoon on the river, openly accessible to the public. Opportunities for people of all ages and abilities to gain hands-on experience of the river environment and ecology on the foreshore or afloat. The River Centre project is being developed by the Environment Trust for Richmond upon Thames, led by Project Leader Angela Kidner. The Trust is delighted that Sir David Attenborough, a long-time resident of the Borough, has agreed to be the patron of the Centre. 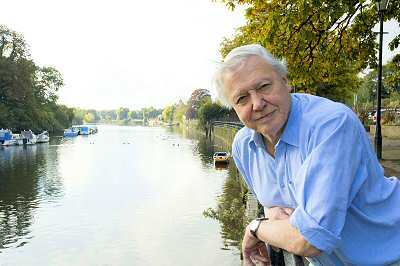 Sir David says, 'Fighting the impact of climate change is perhaps the greatest challenge of this century. It's a matter for individual responsibility as well as government action, and by making it possible for everyone - particularly young people - to recognise this, we can go some way towards preventing the situation worsening. Understanding local eco-systems such as the River Thames through activity and study is a brilliant way to bring home the message. 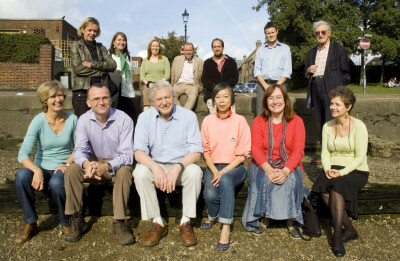 With a track record in environmental conservation and education and nearly 25 years of experience in finding ways to open up the borough's heritage to the community, the Environment Trust, as leader of a consortium of river-related organisations and river users, was selected through the Twickenham Challenge competition as the council's partner to oversee the community-use element of the Twickenham riverside development. The Environment Trust and its partners are committed to providing a distinctive and sustainable community-focused building of high architectural quality as part of the regeneration of the Twickenham riverside area. The site for the River Centre will be leased from the council at a peppercorn rent. The developer of the overall site will provide the shell for the building. The Environment Trust will be responsible for the fitout of the building and, through a management organisation or charity, for the running of the River Centre when it is open. City Bridge Trust has provided £91,000 in funding for project development costs over the next three years. Further funding will be sought from other charitable trusts, the Landfill Communities Fund and local donors. Over 100 people attended the afternoon meeting at Twickenham Rugby Ground on 15 Oct. It began with a briefing by Anthony Benson, Urban Practitioners, on their projected schemes for the poolsite, with one set of plans for possible traffic flows, parking and access, and a second set for the format the development on the poolsite could take. Part of each development is the River Centre, which includes a café/restaurant and public toilets, and Angela Kidner, Clive Chapman and Joe Pecorelli described what the Centre will be like, and what it will provide. It is hoped that the play area will be relocated so it's close to the River Centre café. Some enabling development will be required, and five different schemes were presented, showing houses, flats, or a mix of houses and flats, plus restaurants in some versions. There was no background or explanatory material, and the ten options - five for traffic and access, and five for the development - were sufficiently complex to require some study. However, the participants in the workshop, divided into groups, had only an hour to consider and comment on them. At the end, each group delivered its verdict. The results will be fed into the process of producing the draft development brief. On the traffic side, most groups preferred to have parking removed from the Embankment and placed at the back of the poolsite, along the service road. Several tables suggested an alternative route to be created, by putting a road from the corner of Water Lane and the Embankment, to run at an angle across the site and connect with the service road. This would cut down on the amount of traffic needing to go onto the Embankment and it would avoid going onto the costly private land behind the Abbey building society. the possible loss of many parking spaces which are used in the local economy and by residents and visitors. Also not discussed was the feasibility of having flexible parking on the Embankment, so it's kept clear during the day and used for parking in the evening (if the open space is not in use for concerts or events) and overnight. We understand that there will be an evening briefing meeting in the near future, for those who could not attend in the daytime, but it will not be a consultation. Twickenham Society Group's Recommendations for the Poolsite Development Brief - background and briefing on traffic, parking, and difficult areas. .pdf, 7 pages, 90KB. 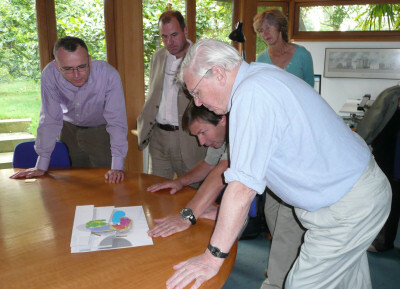 The meeting at York House discussed the site and possible proposals for it. Urban Practitioners, who were charged with writing the development brief for the poolsite, gave a presentation, and a model was on display. The report by the Assistant Director Environment: Twickenham Riverside Scheme - update on the key development issues can be read here (10 page .pdf, 133KB). In the meeting on 12 May, the Cabinet decided to proceed with plans to build the River Centre as part of the new scheme for the Twickenham Riverside. The base building cost of the River Centre will be funded through money generated by the commercial and residential elements of the wider scheme for the riverside site. This will leave the Trust able to concentrate on finding funds for the fitting out of the Centre and for operational costs. At the same time, it was agreed to engage consultants to draw up the development brief for the site, working with Council officers, at a cost of £137,000, already agreed by the Cabinet. A project manager will be taken on by the Council to oversee the work. The Council has promised to consult with local community and amenity groups throughout the process. the playground be retained, though not necessarily in its current location. Leader's Report to the Cabinet: Twickenham Riverside - next steps (.pdf, 10 pages, 110KB).